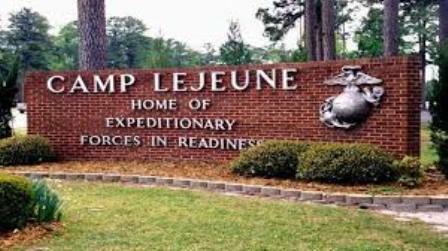 Since September 1941, Camp Lejeune (luh-jern) has been the home of “Expeditionary Forces in Readiness”, and throughout the years, it has become the home base for the II Marine Expeditionary Force, 2nd Marine Division, 2nd Marine Logistics Group and other combat units and support commands. Today, as in the past, Camp Lejeune’s mission remains the same — to maintain combat-ready units for expeditionary deployment. Camp Lejeune is a six-time recipient of the Commander-in-Chief’s Award for Installation Excellence. This award recognizes the base on a Department of Defense level for effectively managing assets and developing quality programs to accomplish the mission of providing expeditionary forces in readiness. Provide aviation support and services, facilities and logistics support, security and force protection, and to promote and enhance readiness, sustainment and quality of life for operating forces, tenant commands, military personnel and families. Approximately 7,000 Marines, Sailors, Airmen and 1,000 civilian employees work on a daily basis to meet the demands of operating the Corps’ only East Coast rotary wing and tiltrotor Air Station. 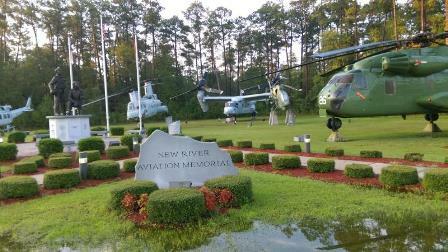 They are home to two Marine Aircraft Groups, several premier training units and the first operational MV-22 squadrons. For more than 60 years, their primary mission has been providing combat assault support for Fleet Marine Force units worldwide. Their dedication and reputation have made them a key part of the II Marine Expeditionary Force and the Marine Corps Installations East team. Camp Geiger is a satellite facility of Camp Lejeune in Jacksonville, North Carolina. In use since 1953, Camp Geiger is home to the School of Infantry (SOI) in the Eastern Region. Camp Geiger is the next step for the Enlisted Marines trained at Parris Island. Marines who complete Recruit Training at MCRD San Diego move on to SOI West, located at Camp Pendleton, in Southern California. Following recruit training and graduation, new Marines report to Camp Geiger for the School of Infantry (SOI). Training at SOI ensures every Marine has the capability to fulfill his or her duties while operating in a combat environment. SOI is made up of two schools: Infantry Training Battalion (ITB) and Marine Combat Training (MCT). Infantry Military Occupation Specialty (MOS) Marines are assigned to ITB, which instills all basic Infantry skills and some advanced infantry skills, for Marines who are going out to the fleet. Non-infantry MOS Marines are assigned to MCT to hone all basic infantry skills. The School of Infantry at Camp Geiger trains approximately 20,000 Marines each year. Marine Corps Combat Service Support Schools and home of the Montford Point Marines!